Upon your arrival, you will meet & assisted with your baggage at the airport and transferred to pre booked hotel where your room is pre booked. Check in to the hotel and take a rest for rest of the day. In the Morning, transfer to the railway station for your departure to Haridwar. Upon arrival at Haridwar station drive to Ashram at Rishikesh, the holy city of India and the hatha yoga capital of the world and a totally vegetarian town. On arrival at Ashram, resting serenely on the banks of the holy Ganga, nestled in the lap of the Himalayas. Rests of the day connect to the Ashram life and overnight stay at Ashram. This morning starts with yoga class followed by relaxation of body, mind and soul. Thereafter learn about breath awareness exercise & stretching exercise with a well recognize mentor. Before breakfast the Ayurvedacharya (tutor of Ayurveda) will check your body type and explain you different Dishes and details of prevention, maintenance and the improvement of one’s health and overall sense of well being. Afternoon visit the Triveni Ghats for exclusive Ganga Aarti, dedicated to Goddesses Ganga. Yoga & traditional meditation class with one of well recognize personality will be carryon in the evening. Overnight stay at Ashram. 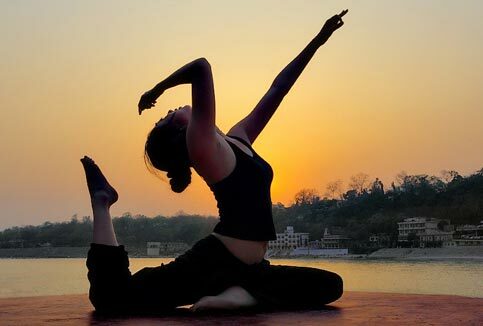 In the morning on this day of your tour in Rishikesh you will follow the schedule of yoga and ayurvedic session. There after stimulating & purifying Ayurvedic therapy as per the Ayurvedic consultant. 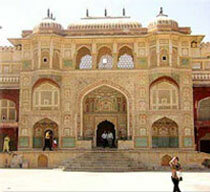 In the Afternoon, visit the ancient Bharat temple & Rishi Kund Temple. Yoga & traditional meditation class with one of well recognize personality will be carryon in the evening. Overnight stay at Ashram. The day begins with PRANAVAM (advance breathing), Dynamic yoga. Advance yoga postures. After Yoga you will Start your panchKarma treatment PanchKarma is a five-fold purification therapy aims at correcting the imbalance of the body’s bioenergies (Vata, Pitta and Kapha) in order to maintain their inherent equilibrium and Ama. Panchakarma therapy has three main stage : Poorva karma, Pradhana karma and Paschat karma (i.e. first, second and last stage). Afternoon drive to Vashistha cave. The entire drive is along the river Ganges towards the source for about an hour. 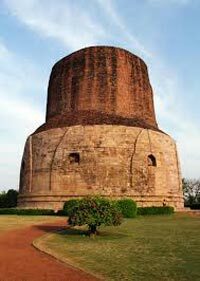 Arrive and explore vashistha cave, where famous saint Vasistha, meditated. It is a perfect place for transcendental meditation. Late afternoon drive back to resort. Yoga & traditional meditation class with one of well recognize personality will be carryon in the evening. Overnight stay at Ashram. Early morning wake up for Pranayam & advance echinque of Yoga. After Yoga get ready for Panch Karma treatment. In the afternoon, trip to Devprayag, one of the five most important confluences of Garhwal Himalayas. Arrive Enjoy the beauty of Devprayag. There after visit 10th centaury old temple of Lord Ragunath. Overnight stay at Ashram. 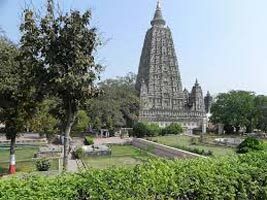 In the Morning take your breakfast and drive to Haridwar which is hardly 25 kms from Rishkesh. 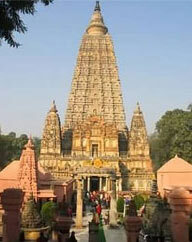 Upon arrival visit Mansa Devi Temple, the temple of Goddess Mansa, which is situated at the top of Bilwa Parvat. Mansa means desire and it has been observed that the devotees who visit this temple with the genuine wishes gets their wishes fulfilled. After that visit Chandi Devi Temple, this temple is at the top of Neel Parvat on the other bank of river Ganges, was built in 1929 AD. 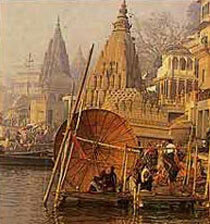 And Har-Ki-Pauri (the footstep of God), also known as the Brahma kund, is one of the most sacred pilgrim places. There after transfer to the railway station to get your train for Delhi. On arrival at Delhil, check in to your hotel. Overnight stay at hotel. On the last morning of your tour, transfer to the International airport to connect flight for your onward destination. Ananda In Himalaya Best Destination For Sp..